In three years as a Compassion sponsor, I’ve had to say goodbye to several sponsor children. Children leave the program for many reasons, including graduating, moving away from the area with their families and even simply tiring of the program. Three times, though, I’ve had children leave for an incredible reason, which is surely a testament to Compassion’s success. They left because their family situations had improved so much that they no longer needed Compassion’s help. Anderson, from Guatemala, was my first sponsor child, and also my first to leave Compassion due to his family’s circumstances improving. Can you imagine that? These families who once qualified for Compassion’s services had improved their circumstances so greatly that they were able to stand on their own. Initially children are selected for Compassion sponsorship by the leadership of the local project, which is often a pastor or a committee of church leaders. These children are selected after being identified as the most needy in the community. Greyvin, of Nicaragua, was my second sponsor child whose circumstances improved so much that his family left Compassion. While in the program, children receive help with spiritual, economic, social and physical needs. Meanwhile, their parents also can receive training covering topics such as family care, adult literacy education, seminars on domestic violence, and nutritional food preparation. At the point when a family feels it no longer needs Compassion’s services, the family can make this known to the project leaders, who make a home visit to confirm it. A Compassion representative told me that many families make the decision to leave the program when their circumstances improve because they know there are children on the waiting list who desperately need the benefits offered by Compassion. Jordy, of the Dominican Republic, is my most recent child to leave Compassion when his family’s circumstances improved. So a family in desperate need receives help and training, its circumstances improves, and the family makes the decision to step aside so another family in the community can receive help. I can’t think of a better system than this. Please click here, browse the children waiting for sponsors, and see if there is a child you would like to release from poverty. Compassion works in 26 countries around the world, and has more than 3,500 chldren available today on the United States web site alone. When you partner with Compassion, you could help a child and its family to reach the point where Compassion’s help no longer is needed, and isn’t that the whole point of sponsorship? 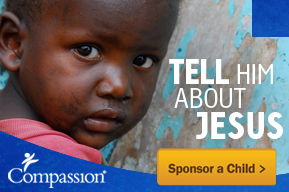 This entry was posted in Compassion International and tagged child sponsorship, Compassion, poverty, sponsor. Isn’t it so encouraging when the family’s circumstances improve? We had one little guy, Saul, from El Salvador, who left Compassion’s program because his family’s circumstances improved…it was such a joyful occasion to say goodbye! It is a great reason too say goodbye! I’m glad too hear you’ve had this happen as well. It warms my heart to think of families whose situations have improved stepping aside to make room for those who are less fortunate.